Noorina Mirza made the United States her home 32 years ago. She was born in Pakistan, where her first 10 years of schooling in a convent run by French and English nuns established the two main interests she has followed since then: couture techniques as only the French have mastered, and a love of English literature. In 1976, she married her childhood sweetheart, Tasneem, who had just completed medical college. Both moved to New York City where he joined a Pediatrics-Neonatology program. Noorina attended The Fashion Institute, as well as New York University, where she earned master’s degrees in English and Philosophy, and was working on her Doctoral dissertation when her older son, Khurram, made his appearance. Another precious son, Kassim, followed a few years later. and has been president of the Broward International Women’s Club. 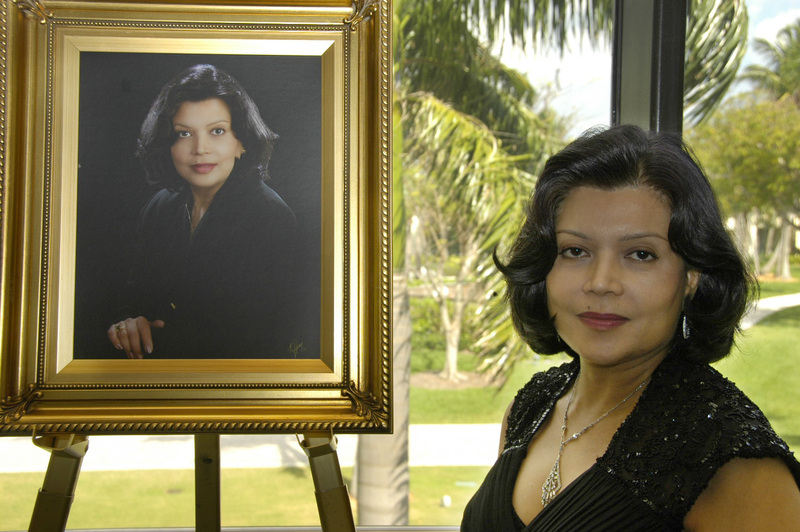 She has also been on the Board of Advisors for Nova Southeastern University. After Hurricane Andrew pummeled South Florida, she joined in the reconstruction effort by writing a book, Before and After Hurricane Andrew, and donating the entire proceeds to the hurricane relief effort. With both boys in high school, Noorina began to design professionally. Now, with a son in medical college and another working towards his MBA, she divides her time between home, various fund raising activities and her business. Both Noorina and Tas enjoy traveling, and have traveled extensively in China, India, Turkey, Greece, Italy, England, Morocco and Spain. They have also visited Switzerland, Germany, Bulgaria and the Ukraine. They share their home with two adorable English Bulldogs, Emma and Isabella.